Mini MySqlat0r is a multi-platform application used to audit web sites in order to discover and exploit SQL injection vulnerabilities. It is written in Java and is used through a user-friendly GUI that contains three distinct modules. The Crawler modules allows the user to view the web site structure and gather all tamperable parameters. 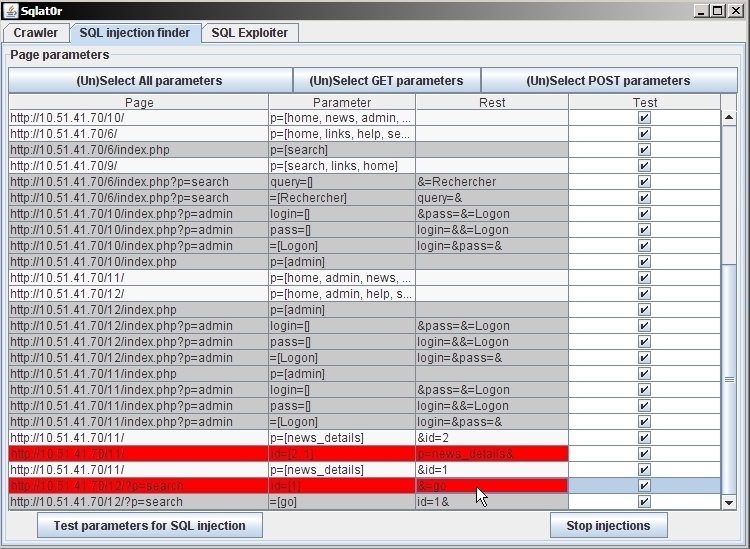 These parameters are then sent to the Tester module that tests all parameters for SQL injection vulnerabilities. If any are found, they are then sent to the Exploiter module that can exploit the injections to gather data from the database. Mini MySqlat0r can be used on any platform running the Java environment and is distributed under GPL licence.